Street sweeping schedule by Ward and Ward section number. To find your Ward section, visit https://data.cityofchicago.org/d/t9er-bzee. For more information about the City's Street Sweeping program, go to http://bit.ly/H2PHUP. Street sweeping zones by Ward and Ward Section Number. For the corresponding schedule, see https://data.cityofchicago.org/d/izuq-yb9q. Street sweeping schedule by Ward and Ward section number. To find your Ward section, visit https://data.cityofchicago.org/d/qixn-wjxu. For more information about the City's Street Sweeping program, go to http://bit.ly/H2PHUP. Street sweeping schedule by Ward and Ward sections number. To find your Ward section, visit http://bit.ly/Hz0aCo. For more information about the City's Street Sweeping program, go to http://bit.ly/H2PHUP. Street sweeping schedule by Ward and Ward sections number. To find your Ward section, visit http://bit.ly/Hz0aCo. For more information about the City's Street Sweeping program, go to http://bit.ly/H2PHUP. The data can be viewed on the Chicago Data Portal with a web browser. However, to view or use the files outside of a web browser, you will need to use compression software and special GIS software, such as ESRI ArcGIS (shapefile) or Google Earth (KML or KMZ), is required. Street sweeping schedule by Ward sections. To view or use these shapefiles, compression software and special GIS software, such as ESRI ArcGIS, is required. To download, right-click the "Download" link above and choose "Save link as." Data Owner: Streets & Sanitation. Time Period: August 2011-November 2011. Last Updated: August 2011. Street sweeping schedule by Ward and Ward section number. To find your Ward section, visit https://data.cityofchicago.org/d/icje-4fmy. For more information about the City's Street Sweeping program, go to http://bit.ly/H2PHUP. Street sweeping schedule by Ward and Ward section number. To find your Ward section, visit https://data.cityofchicago.org/id/4qtf-5nmn. For more information about the City's Street Sweeping program, go to http://bit.ly/H2PHUP. 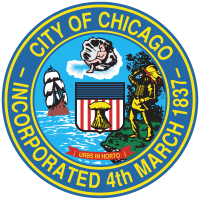 Because the City of Chicago ward map will change on May 18, 2015, this dataset will be updated or supplemented with an additional dataset to cover the remainder of 2015 (through November). Street sweeping schedule by Ward and Ward section number. To find your Ward section, visit https://data.cityofchicago.org/d/2cgx-fb86. For more information about the City's Street Sweeping program, go to http://bit.ly/H2PHUP. Because the City of Chicago ward map will change on May 18, 2015, this dataset begins on that date. The dataset for April and the first half of May is https://data.cityofchicago.org/d/waad-z968. Street sweeping zones by Ward and Ward Section Number. For the corresponding schedule, see https://data.cityofchicago.org/d/x2vd-qke7. Street sweeping schedule by Ward sections. To view or use this file, special GIS software such as Google Earth is required. To download, right-click the "Download" link above and choose "Save link as." Data Owner: Streets & Sanitation. Street sweeping zones by Ward and Ward Section Number. The zones are the same as those used in 2014. For the corresponding schedule, see https://data.cityofchicago.org/d/waad-z968. Because the City of Chicago ward map will change on May 18, 2015, this dataset will be supplemented with an additional dataset to cover the remainder of 2015 (through November).